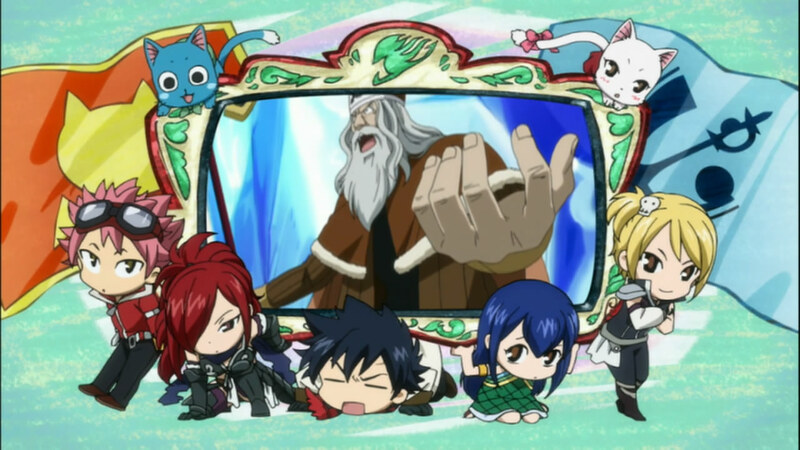 The episode ends with some very bewildered Earthland Fairy Tail wizards looking at Edolas Natsu. After a week of not reviewing Fairy Tail, I finally get the chance to get back and look at perhaps the most enjoyable and entertaining arc this series has ever done. 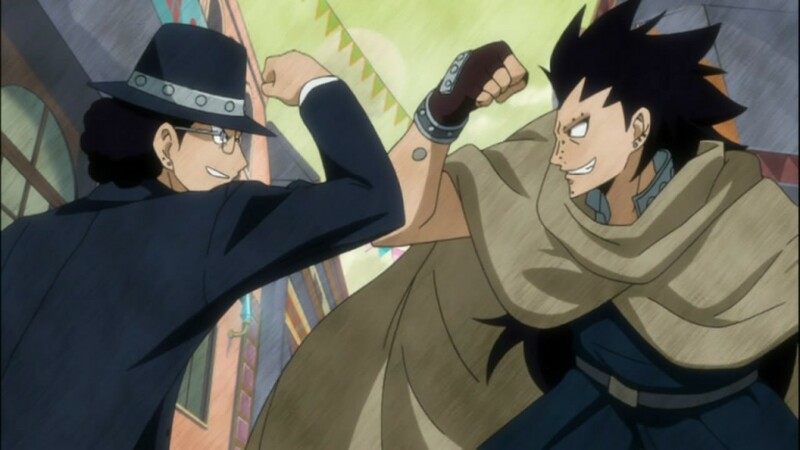 Episode 81 showed us more cool meetings between Fairy Tail and their Edolas counterparts, and of course, the story went along at a decent pace as well. There still hasn’t been much action, which is quite surprising, given the nature of Fairy Tail, which is a shounen series. At the same time, its kind of refreshing to see a shounen series that’s not afraid to keep the fighting off for as long as it needs to. 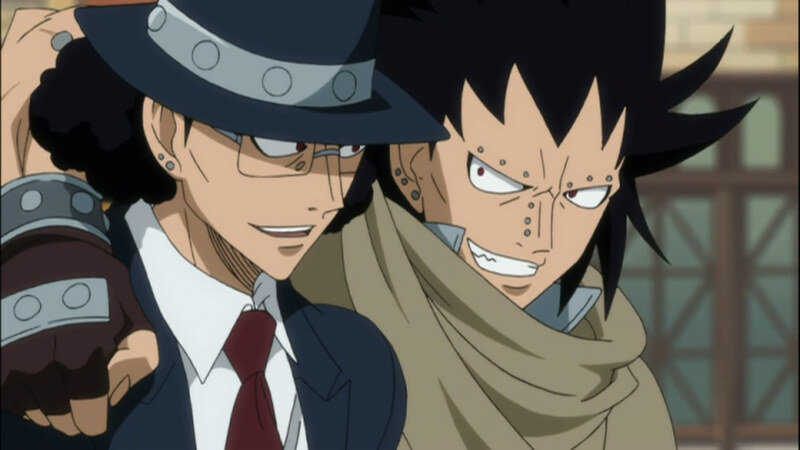 Most of the episode was centered around character interaction. We got another chance to see just how different and oddly, how similar both incarnations of some of the characters are. 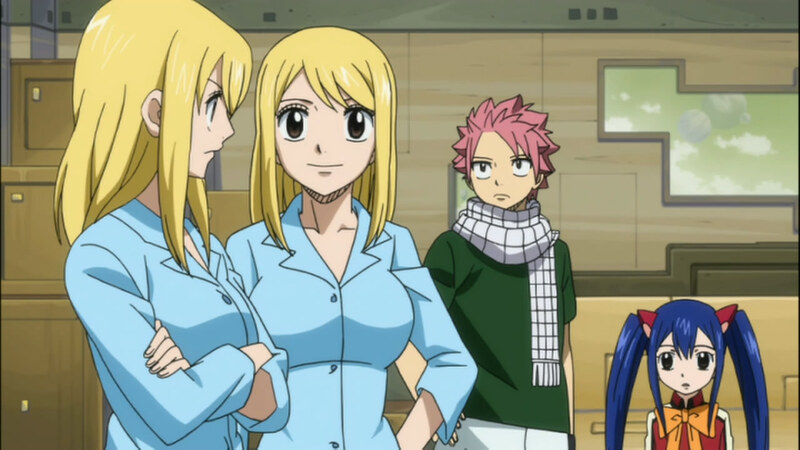 The whole part about the three lucy’s was rather funny, along with Natsu’s rather unphazed reaction to seeing two Lucy’s in just their towels XD. It was interesting seeing how differently they viewed the whole thing. Edolas Lucy is definitely the kind of person who definitely hasn’t had the chance to really act like a girl, and this was only echoed with her interactions with Earthland Lucy. Edolas Natsu is actually a total doormat unless he’s in his car XD A complete contrast to Earthland Natsu, who becomes his weakest when he’s in transport. The one thing that I did notice, and the one big difference between Earthland and Edolas, is the attitude and bravey of the Fairy Tail. 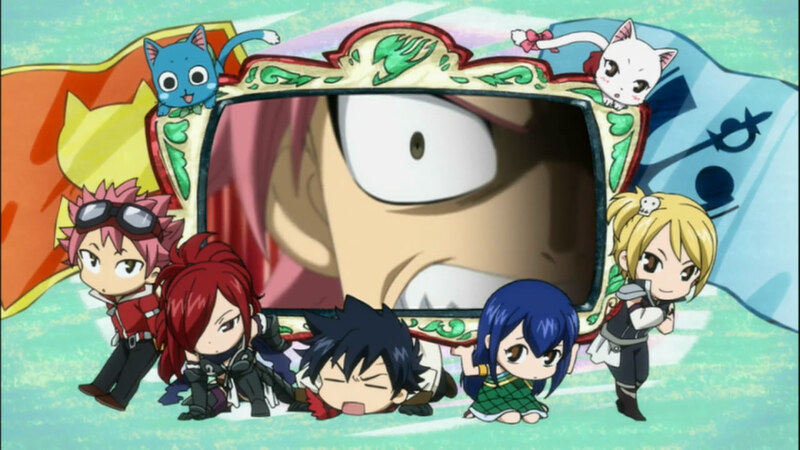 Earthland Fairy Tail is filled with gutsou mages, mostly because they have Natsu, A very confident Gray and Erza. 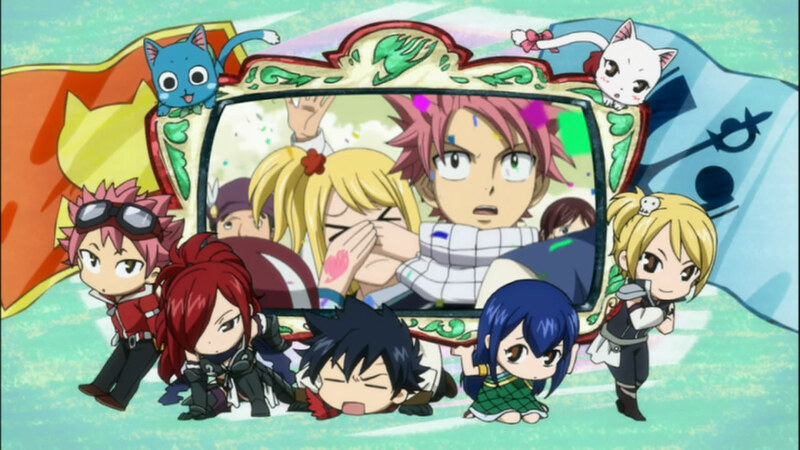 Edolas lacks this, and that’s why I see that the Edolas Fairy Tail is hardly confident enough to take on authority and do whats right, regardless of the need to do so. 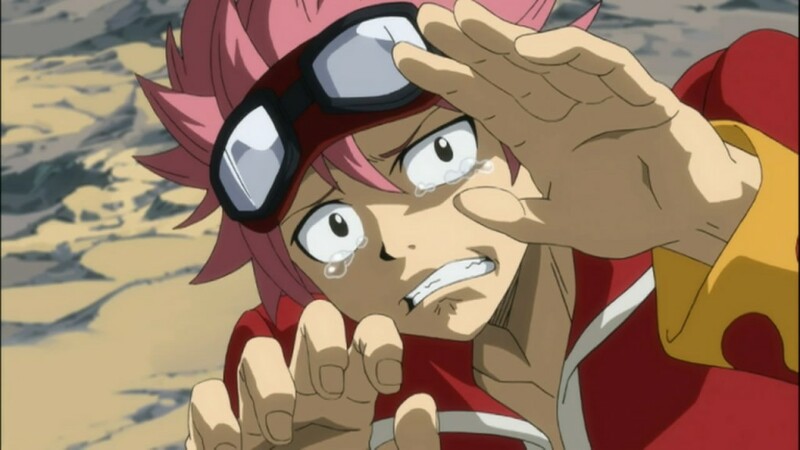 Cowardly or not though, Edolas Natsu saved our heroes butts, even if he did kick them out after a certain distance. I’ll talk more about what happens next in well… episode 81’s review. Which is rather hard, as Episode 81’s ending truly bleeds into episode 82.